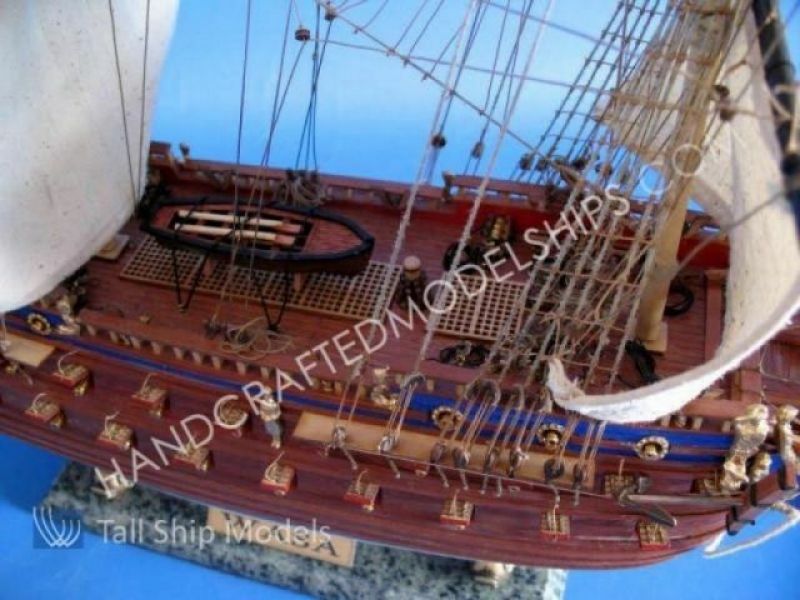 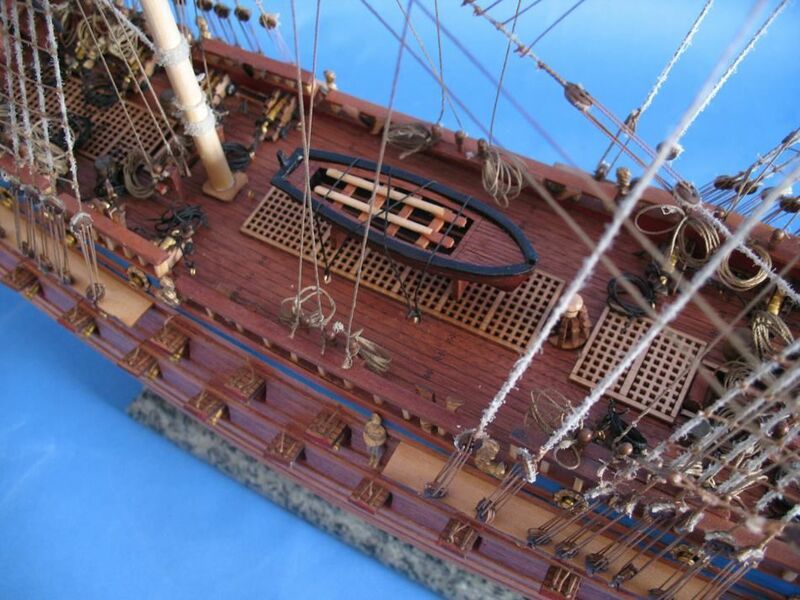 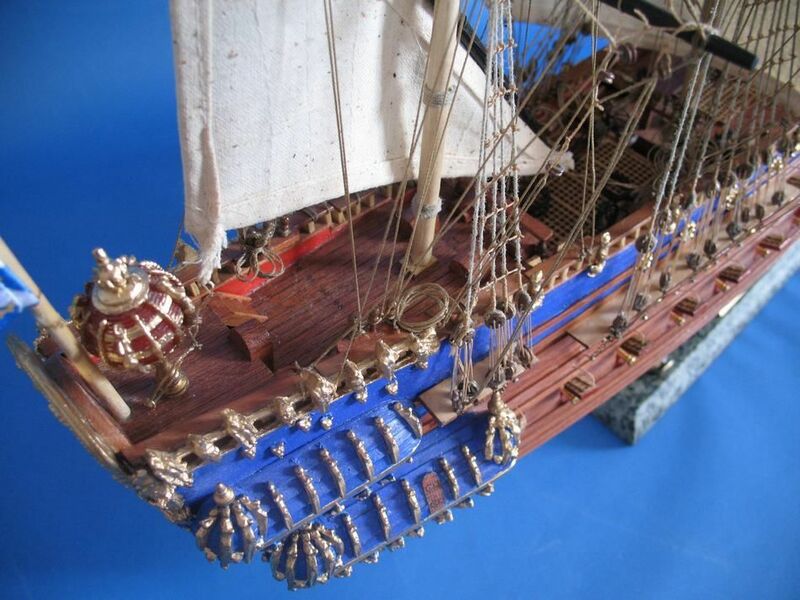 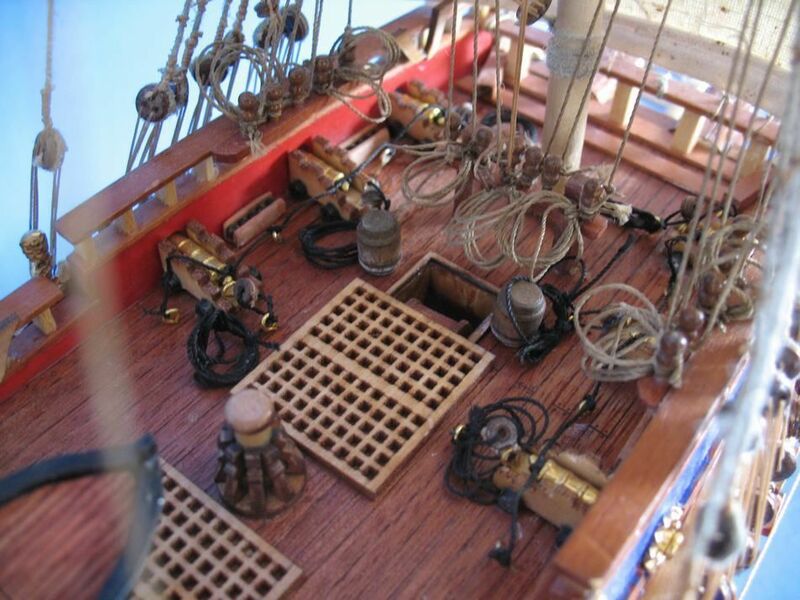 Wasa Limited Tall Model Ship 32"
Historically accurate features bedeck these museum-quality Limited Edition scale replica tall ship models of the Wasa (or Vasa), which are built with the finest craftsmanship and attention to detail. 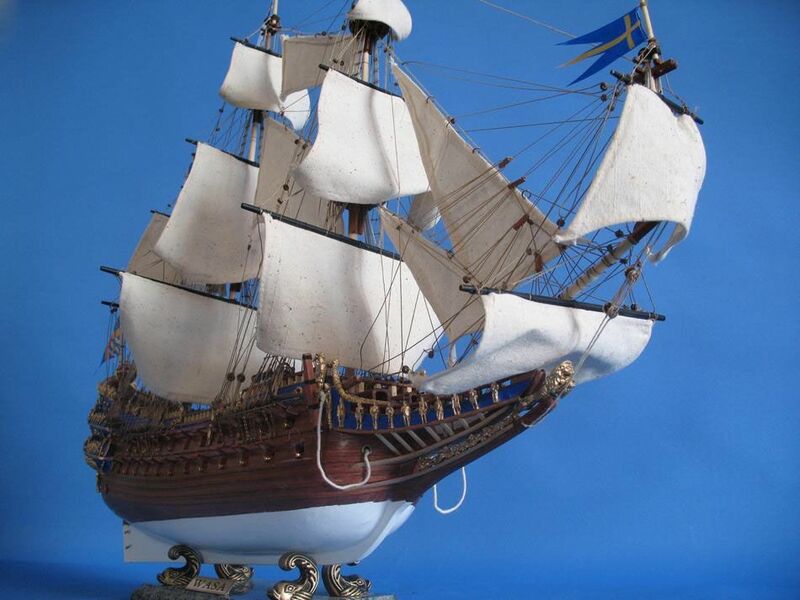 As the grandest warship in the fleet of Swedish King Gustavus Adolphus and built according to his personal specifications, this fighting tall ship of the line salvaged and now displayed as a modern museum ship occupies a distinguished place in Swedish naval history. 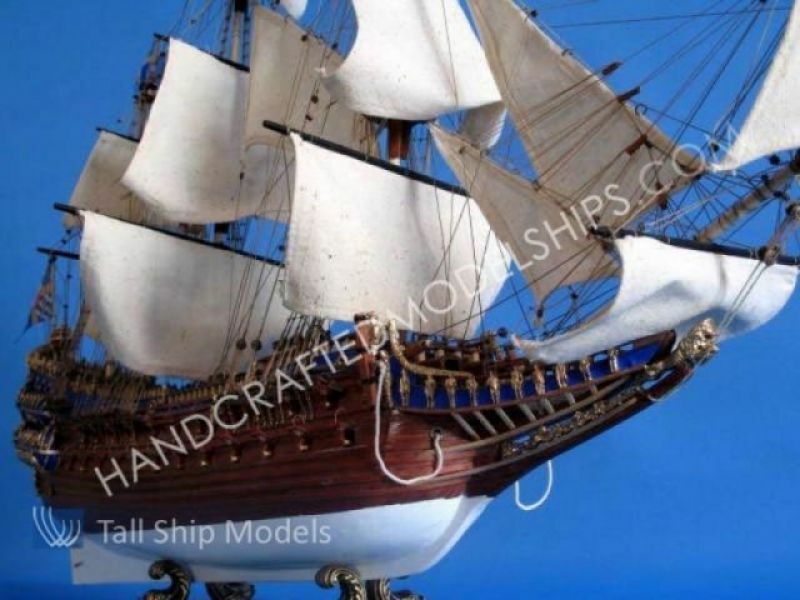 Now her Limited Edition tall ships model may similarly occupy a proud position in your office, home or meeting room from which to display her exquisite beauty. 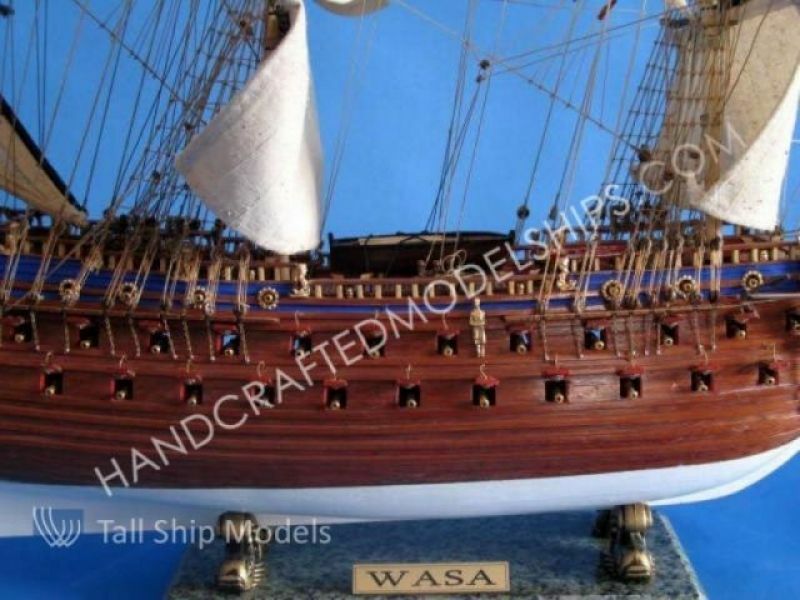 NOTE: There is an optional model of the Wasa 32" available without sails for the same price. 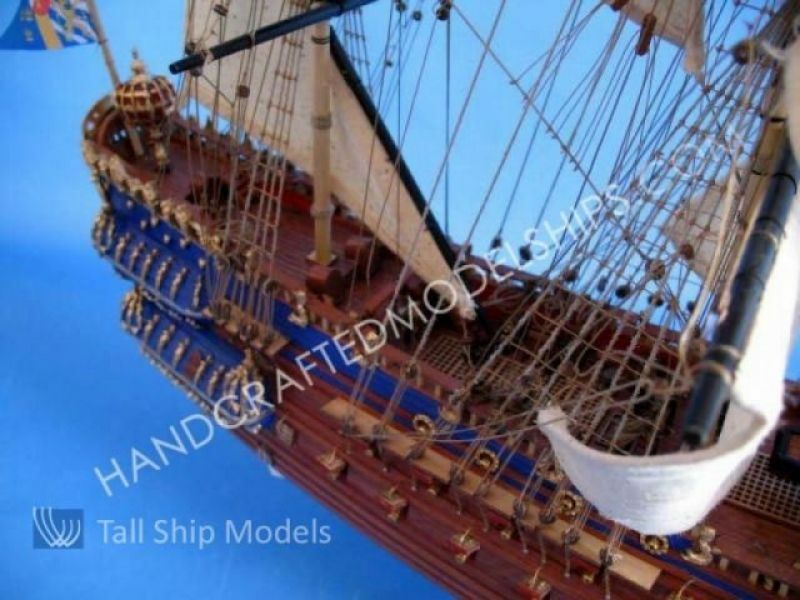 Simply note at the bottom of our checkout page that you would like the Wasa 32" without sails. 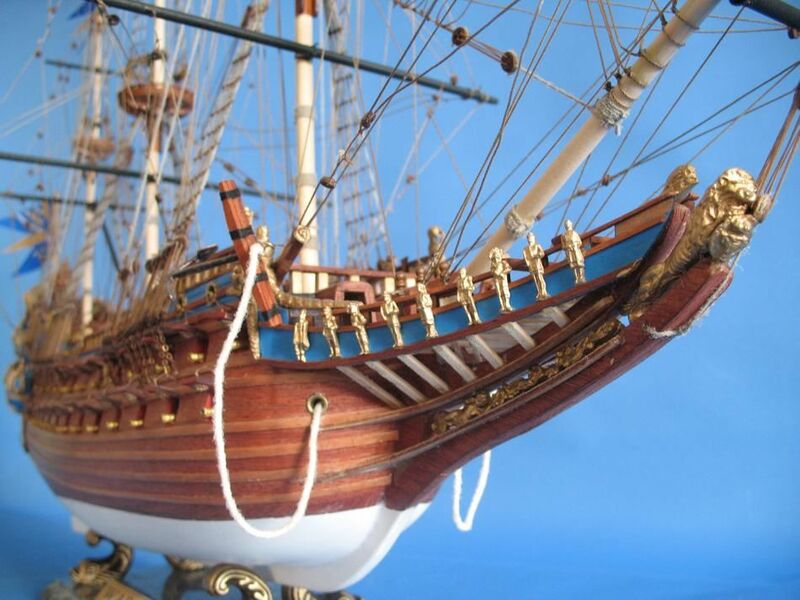 This 4 foot long Wasa model stands out above all others in beauty and craftsmanship. 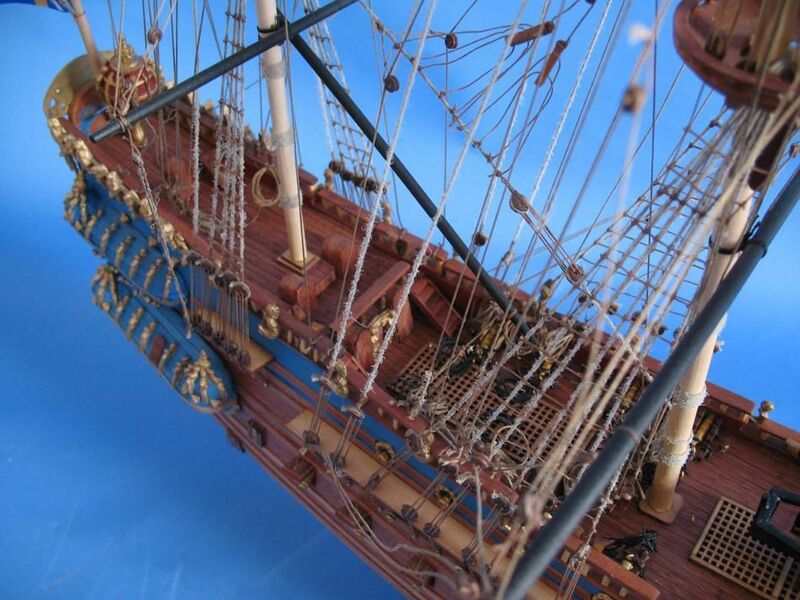 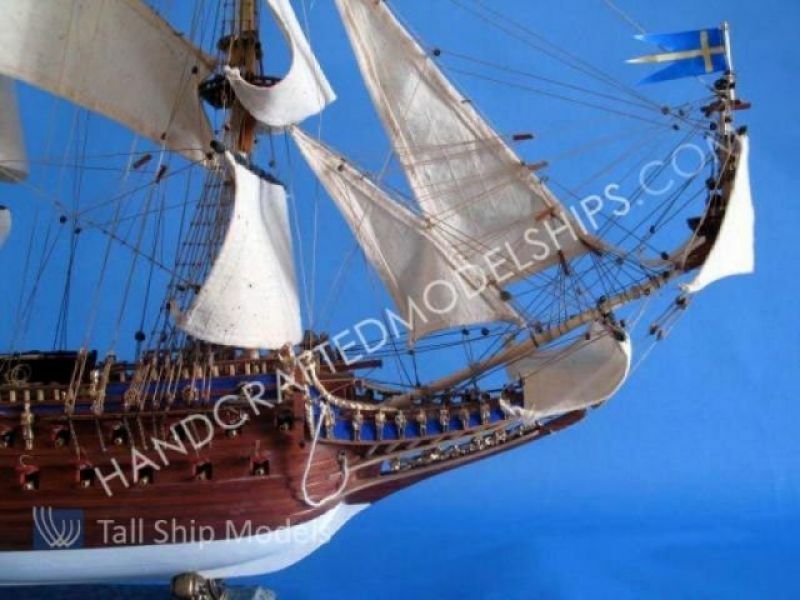 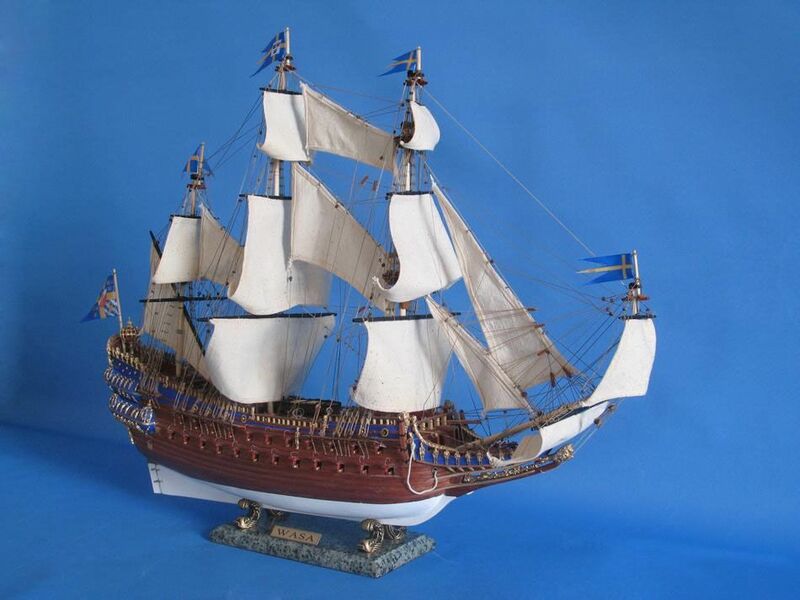 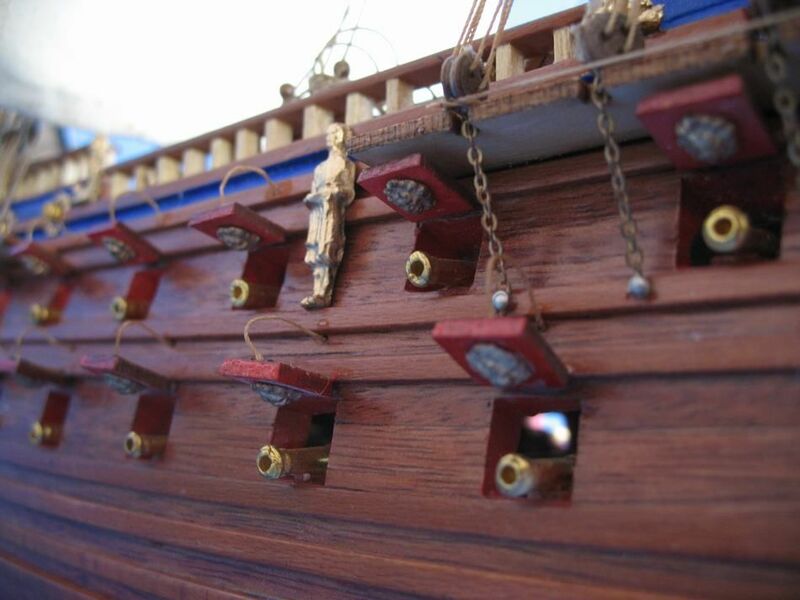 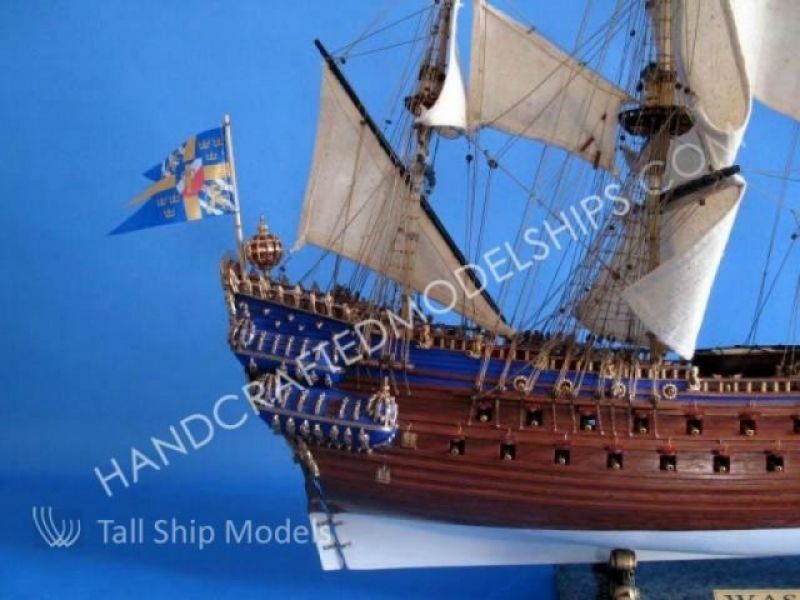 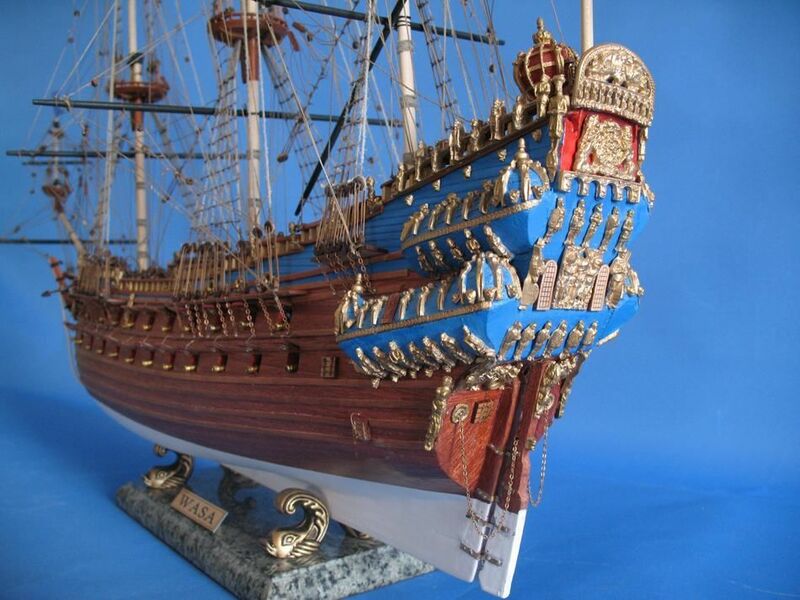 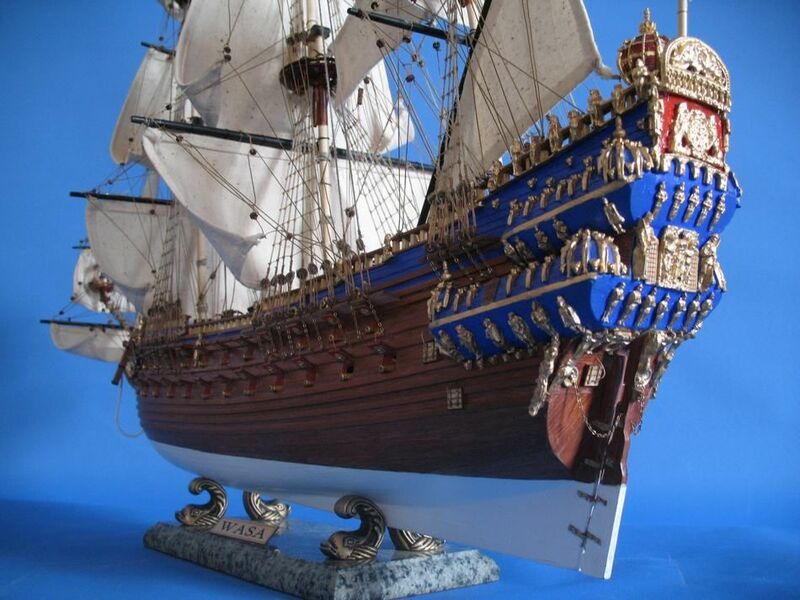 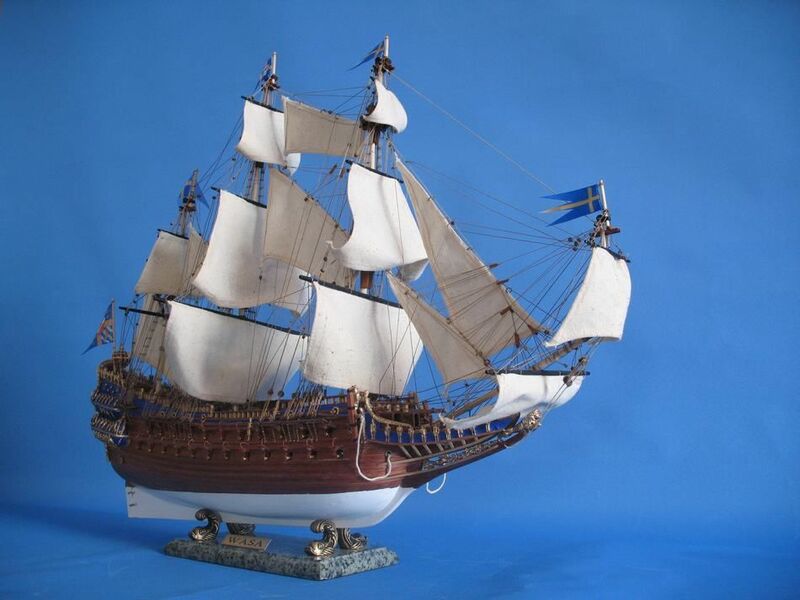 Add this impressive historic ship to your life today! 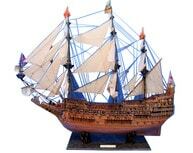 Vasa (or Wasa) is a warship, built for Gustavus Adolphus of Sweden 1626-1628. 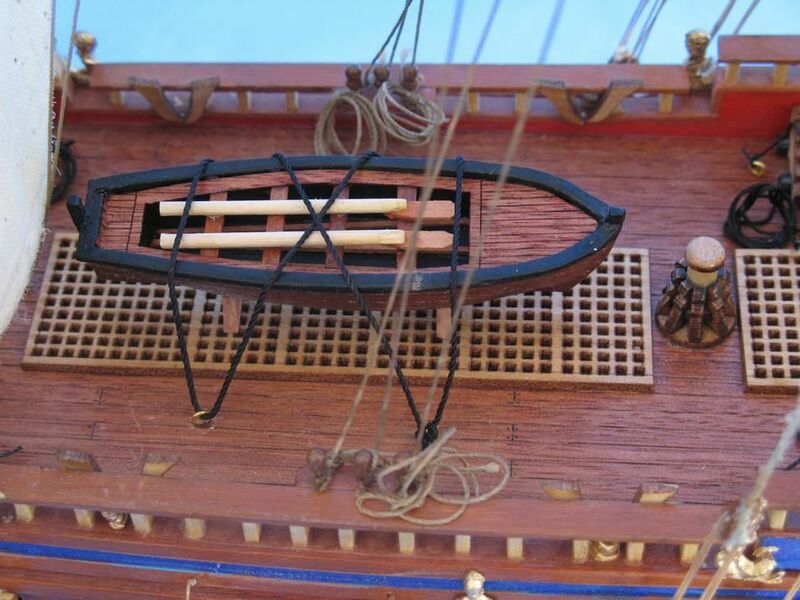 She foundered and sank after sailing only a mile into her maiden voyage on August 10, 1628. 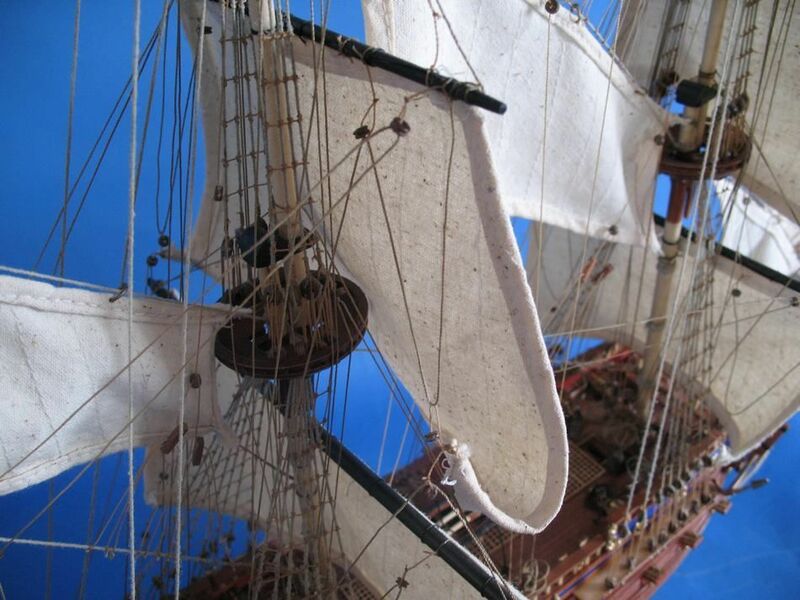 Vasa fell into obscurity after some initial attempts at recovering her in the 17th century, but was relocated in the late 1950s and salvaged with a largely intact hull on April 24, 1961. 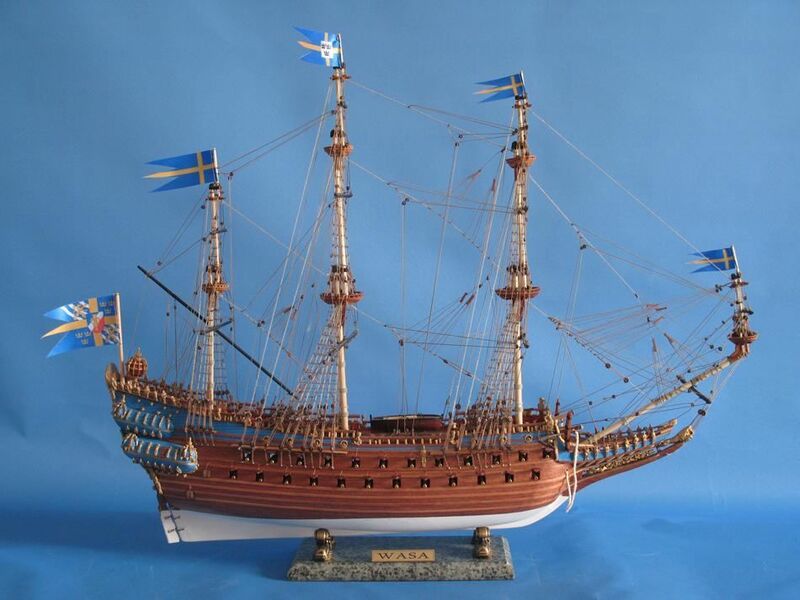 She was housed in a temporary museum called Wasavarvet ("The Wasa Shipyard") until 1987, and was then moved to the Vasa Museum in Stockholm. 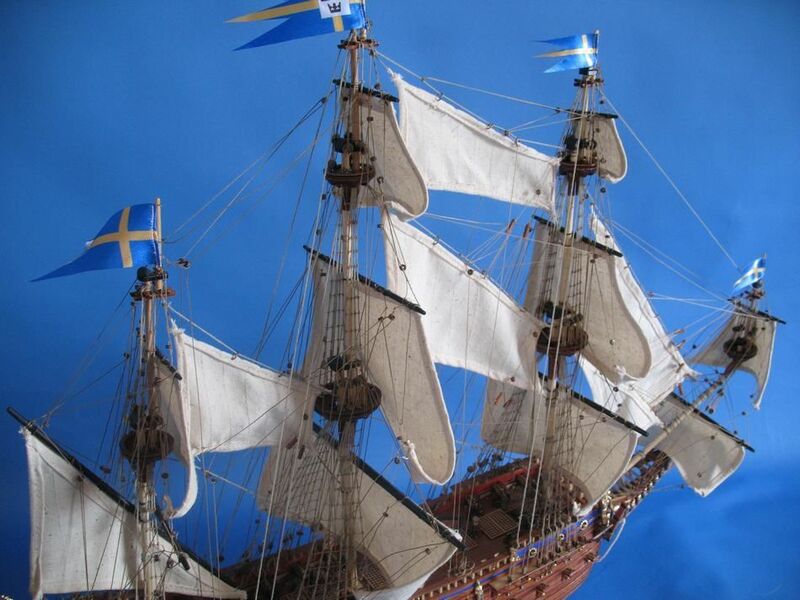 The ship is one of Sweden's most popular tourist attractions and has so far attracted over 25 million visitors. The Vasa was built top-heavy with insufficient ballast and foundered as soon as she encountered a wind stronger than a breeze, just a few minutes after first setting sail on her maiden voyage. 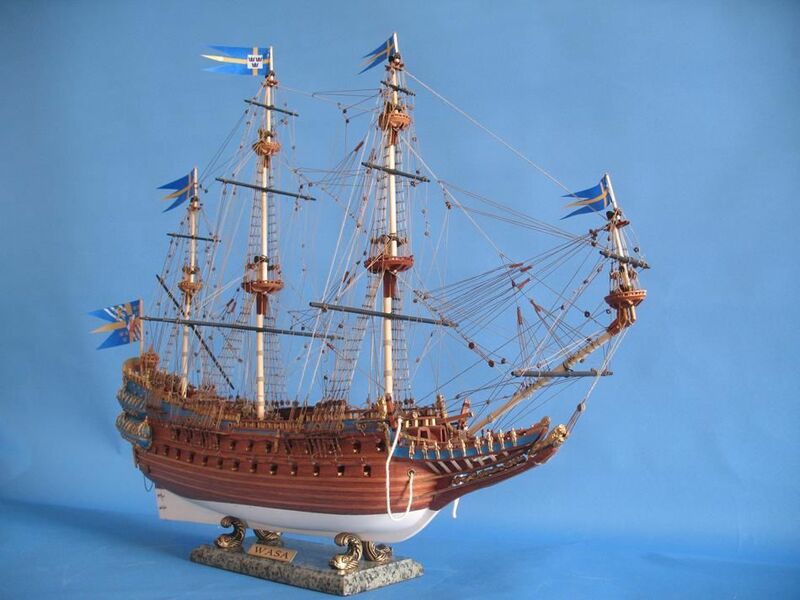 Despite clearly lacking stability even in port, she was allowed to set sail. 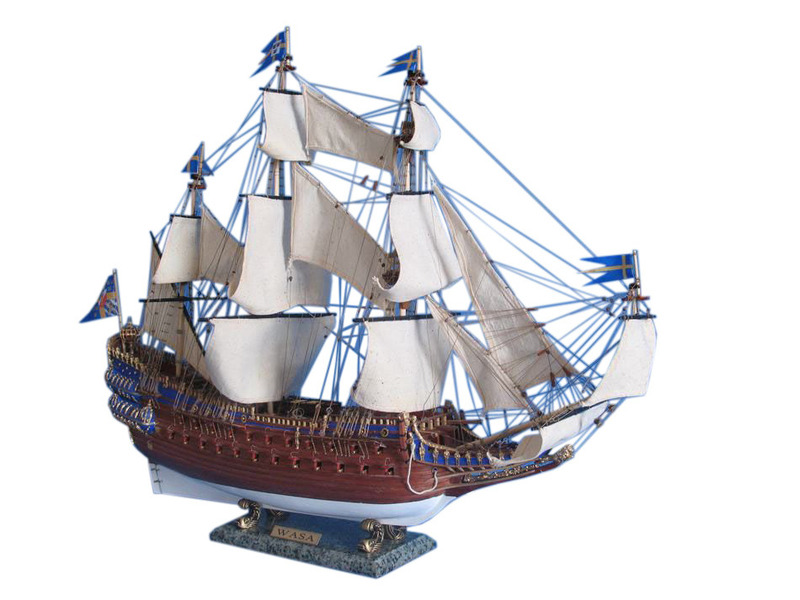 This was caused by a combination of impatience from king Gustavus Adolphus, who was abroad on the date of her maiden voyage, to see her join the Baltic fleet in the Thirty Years' War and the lack of political courage among the king's subordinates to blow the whistle and delay the maiden voyage. 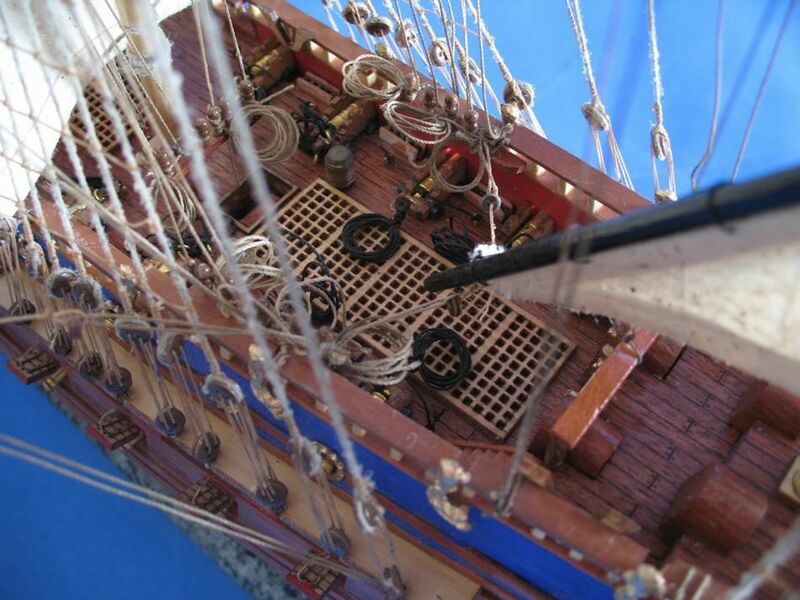 An inquiry was organized by the Privy Council to find someone responsible for the disaster, but no sentences were handed out. 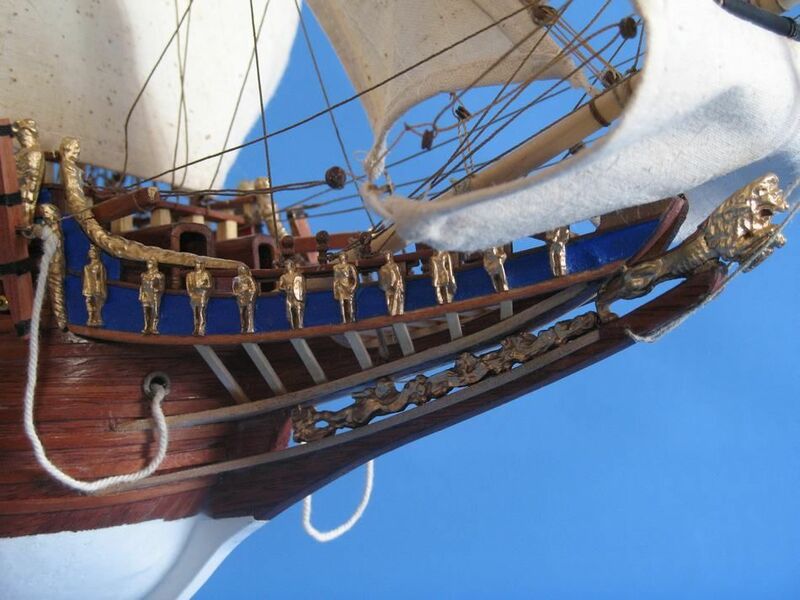 During the 1961 recovery, thousands of artifacts and the remains of 16 people were found inside or near Vasa by marine archaeologists. 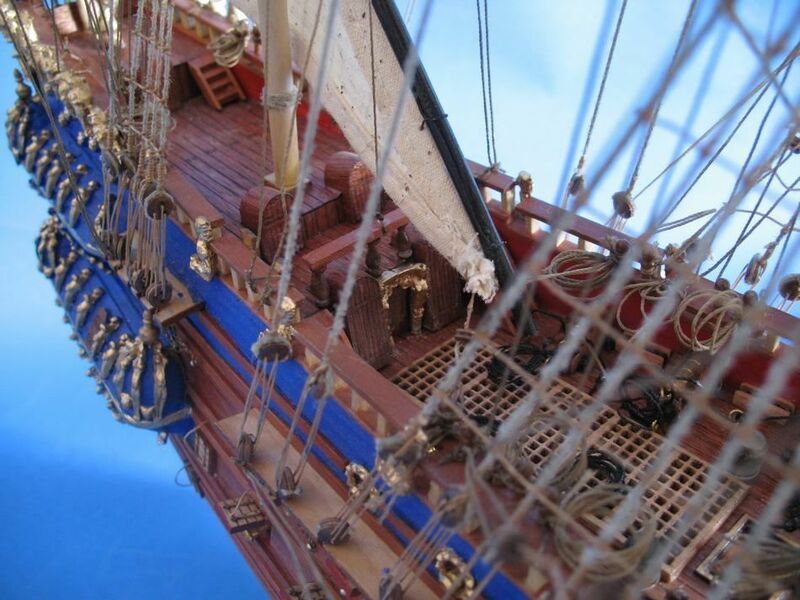 Among the many items found were clothing, weapons, cannons, tools, coins, cutlery, food, drink and six of the ten sails. 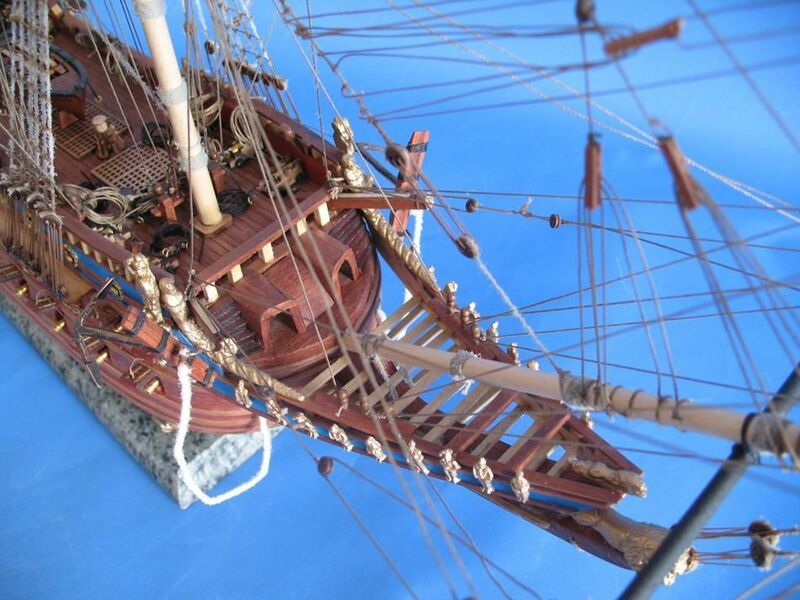 The artifacts and the ship itself have provided historians with invaluable insight into details of naval warfare, shipbuilding techniques and everyday life in early 17th century Sweden. 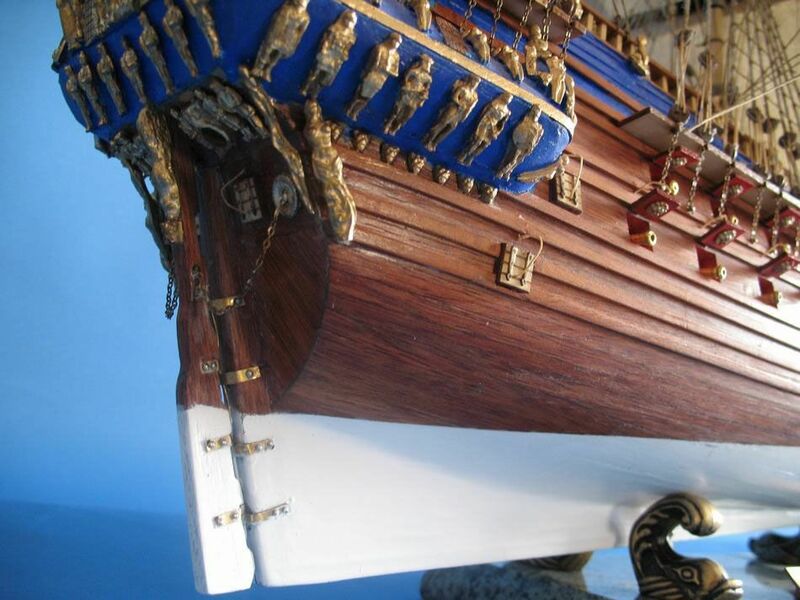 When she was built, Vasa was intended to express the expansionist aspirations of Sweden and its king, Gustavus Adolphus, and no expense was spared in decorating and equipping her. 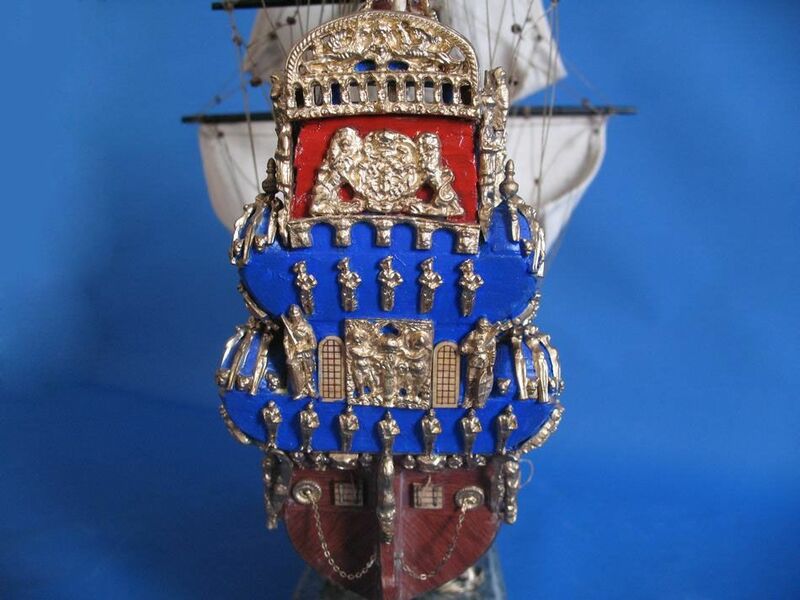 She was one of the largest and most heavily armed warships of her time and was adorned with hundreds of sculptures, all of them painted in vivid colors.